Jade is a warm, friendly massage therapist who is highly experienced and passionate about creating and effective yet luxurious massage experience for her clients. She completed her Diploma in Remedial Massage in 2007 with The Australian College of Massage where she gained a comprehensive education in Aromatherapy Massage, Swedish Massage, Pregnancy Massage, Sports Massage, and Deep Tissue Massage. She has worked in 5 star spas and clinics in Newcastle (Australia), Sydney, and London, and has continued to train in a variety of therapies including Balinese massage, hot stone massage, advanced facial massage &amp;amp; skin analysis with the International Dermal Institute in Sydney, colon hydrotherapy and alkaline nutrition, endermologie, detox massage, and advanced neck &amp;amp; shoulder massage. 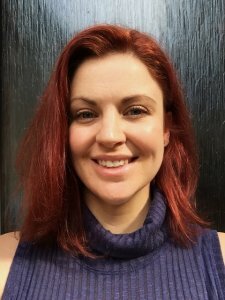 Jade has also served as an educator, helping therapists develop their techniques and understanding how to get the best results for their clients. Jade believes in treating the body from a holistic perspective. Living in a chaotic city like London places significant pressure on our body, mind, and soul. We all deal with physical and emotional stress differently, so Jade can combine variety of techniques to create a bespoke massage that is unique to you and your needs. This may include a combination of different massage styles, Aromatherapy, and hot stone therapy. Or simply choose from the list of treatments below. We start with a dry body brush, followed by an energising, flowing, rhythmic massage with blend of essential oils to stimulate the lymphatic system and support the body’s natural detoxification processes. An abdominal massage is included to aid digestion, followed by a pressure point face massage to aid drainage and help with puffiness. A relaxing face & scalp massage treatment using pure organic moroccan argan oil, praised for it’s beautifying properties. Choose from 11 gorgeously scented organ oils to be lightly applied to the end of your hair, leaving you delicately perfumed so your treatment experience will follow you home. A lovely and useful addition to any massage, Dry body brushing gently exfoliates the skin while also stimulating the lymphatic system. Can be helpful in managing water retention, dry skin, and mild cellulite. Thursdays afternoon and Saturday mornings.